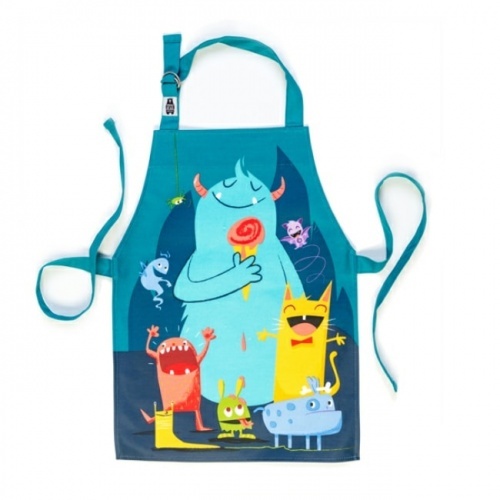 Do kids’ tabards get any more colourful than this ThreadBear Designs’ one? The answer is ‘no’! 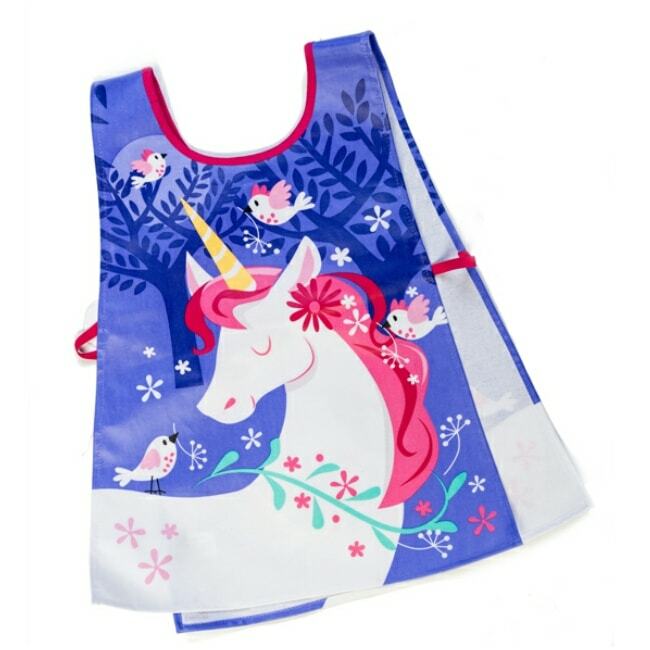 Featuring a huge unicorn illustration to the front and back, the PVC-coated cotton product comes with elastic loops at the side for a comfortable and convenient fit. 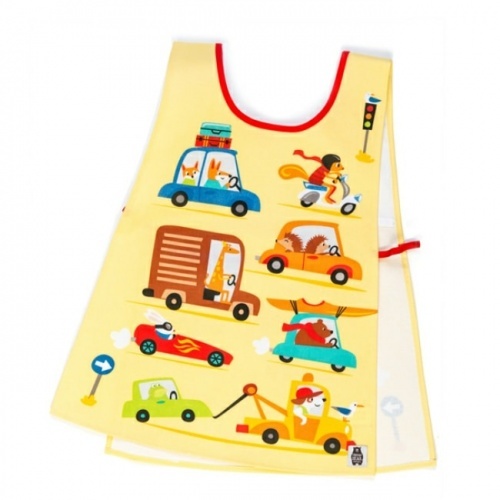 Ideal for children aged between three and six years old, this wipe-clean apron is just made for creative play. 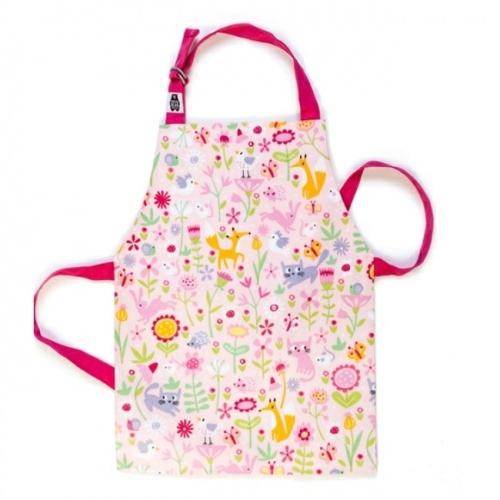 They’ll enjoy slipping it on before painting, colouring, or getting messy in the garden. 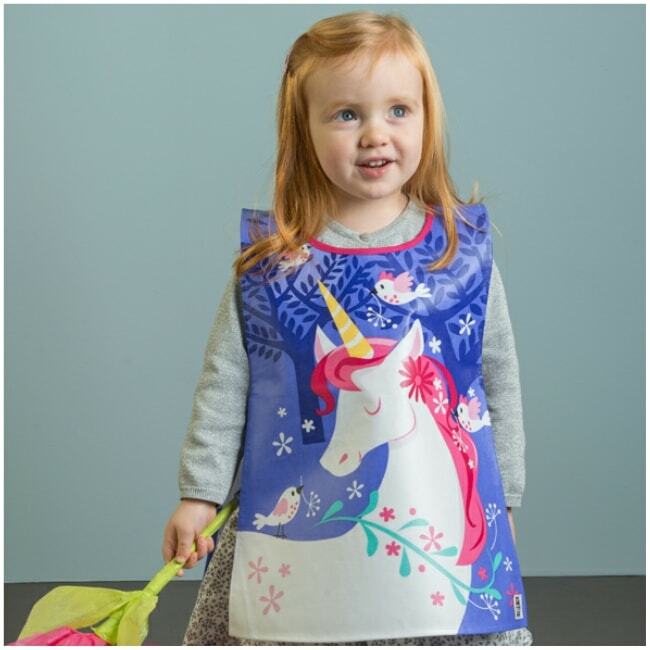 Just one of a handful of products from the Threadbear Designs’ collection, the Lulu L’Unicorn tabard is bound to become their favourite accessory.